When the door on your refrigerator swings the wrong way, it may bump against a wall or cabinet, or simply be inconvenient in respect to your food preparation area. 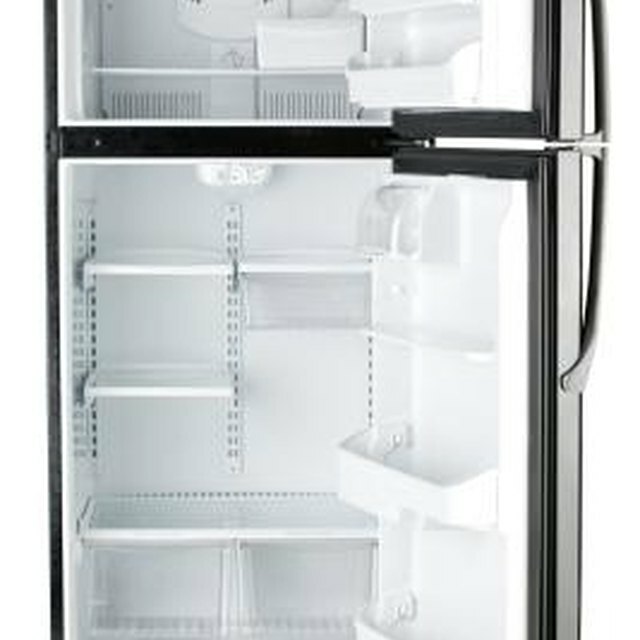 Frigidaire refrigerators, like most other brands, come with doors that are easily reversible with a few simple steps. Most brands of refrigerators allow you to reverse the door swing. Pop the front grille off of the bottom of the refrigerator and the plastic hinge cover from the top of the refrigerator and lay them aside. Use an adjustable wrench to remove the hinge pin atop the freezer door. Use a Phillips head screwdriver to remove the screws atop the refrigerator. Remove the hinge and washer and lay all parts aside. Open the freezer door and lift it up off of the hinge pin that is in the refrigerator door. Remove the hinge atop the refrigerator door by unscrewing the hinge pin with an adjustable wrench. Use a Phillips head screwdriver to remove the screws from the hinge. Lay all the parts aside. Unscrew the two screws that are attached to the refrigerator space between the freezer and refrigerator. Remove the shim and screw the screws back into the refrigerator. Lift the refrigerator door up and off of the bottom hinge pin and lay it aside. Use a three-eighths socket wrench to remove the screws from the hinge at the bottom of the refrigerator. Unscrew the hinge pin with an adjustable wrench. Remove the hinge and washer from the refrigerator and lay them aside. Remove the plugs to plug the holes in the opposite side of the door. Use the Phillips head screwdriver to remove the handles from the freezer and refrigerator doors. Remove the Frigidaire emblem from the freezer door with a putty knife and lay it aside. Reattach the handles on the opposite sides of the freezer and refrigerator doors and refrigerator, and pop the plastic covers into the remaining empty holes. Start at the bottom of the opposite side of the refrigerator and reinstall the hinge pin and screws. Place the washer on top of the hinge pin. Set the refrigerator door on the hinge pin in its new location. Work your way up the refrigerator, replacing the hardware and the freezer door in the opposite order in which they were removed. Pop the grille back onto the bottom of the refrigerator. Reinstall the Frigidaire emblem in the holes previously occupied by the freezer door handle by popping it into place. Enlist an assistant to hold the doors in place while you remove and reinstall the hinges.